I'm more of a bourbon man myself, but I did also pick up a case of coronas recently for apartment guests. 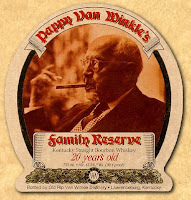 And while we're on the topic of bourbon, I just recently opened my bottle of 20 yr old Pappy Van Winkle's - it's DELICIOUS. Anyhoo, on to the news article. Massachusetts beer shipments ran counter to the national trend in June, as the Bay State reported a 3.8 percent rise in barrels sold for the month. Nationally, shipments fell 2 percent to 19.5 million barrels, from 19.9 million barrels in May. National shipments were off 1.5 percent year-over-year in May. In Massachusetts, beer vendors shipped 412,000 barrels in June, compared to 397,000 barrels in May. The state’s shipments were down 1.2 percent in June on a year-over-year basis. The article didn't have any data for July, but I'm sure we kept it up. Although a lot of our serious beer drinkers (aka college students) are typically gone for vacation during the summer, warm weather in Boston is more than enough reason to celebrate with a couple drinks. Especially if it would stop raining. Click (here) for a link to the article. 0 Response to "We of Massachusetts Love Our Beer"
Vote To Get Rid of Income Tax? Did You Buy Anything This Weekend? Who's Filming in Chelsea Right Now? Bernie & Phyl's Jingle Contest - Win A Car! Food Prices Are Going Up ... Except For Lobster? Who's Got Info On Boston Movie Filming? Me!